Ath. Ox. vol. II. 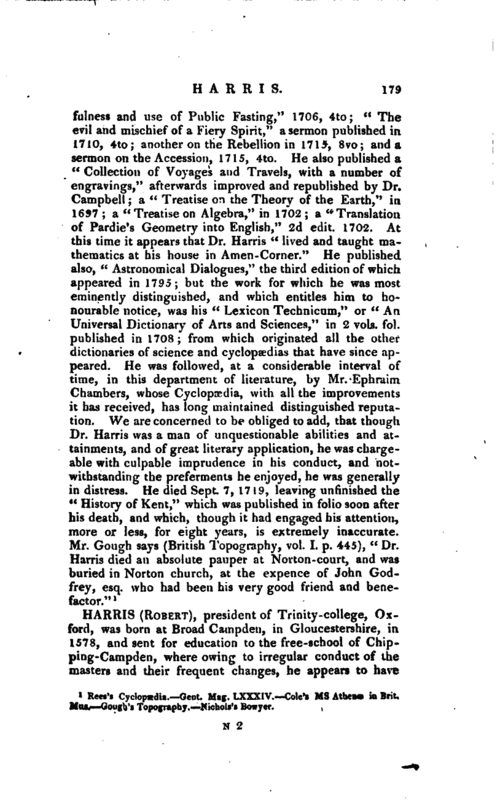 Wood’s Annals and Colleges and Halls. 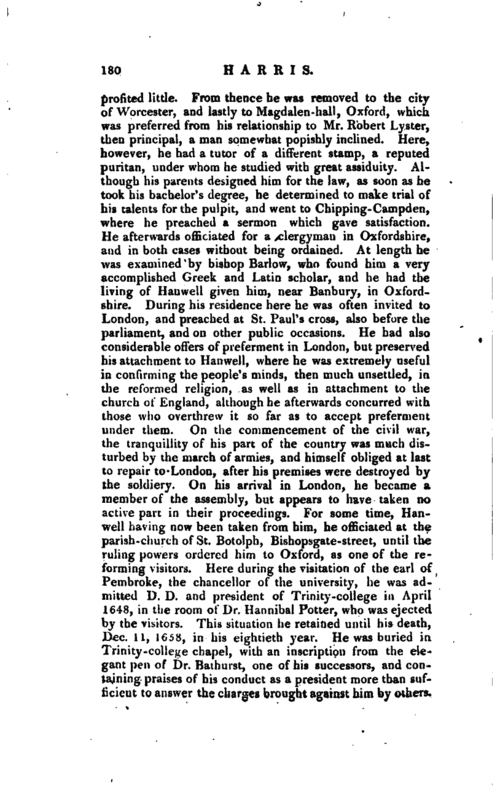 Wood’s Life, 1772, 8vo, p. 230. 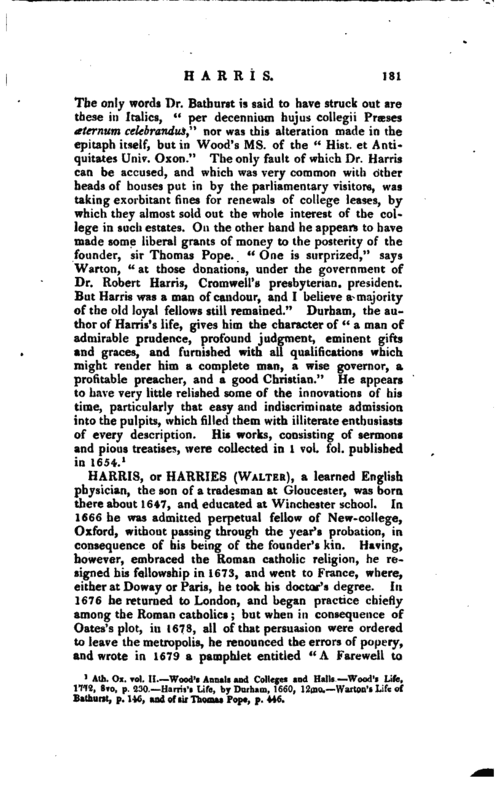 Harris’s Life, by Durham, 1660, 12mo. Warton’s Life of, Bathurst, p. 146, and of sir Thomas Pope, p. 446.